Many look at this book and their minds will automatically go to “The Fault in our Stars”, which it shouldn’t because even though the books have a similar subject matter they are completely different. 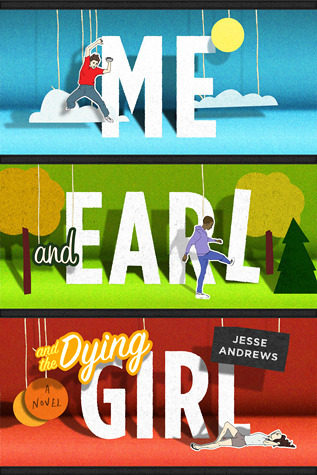 Where TFIOS brings you to tears through the characters struggles and the authors beautiful writing, Jesse Andrews uses lots of sarcasm and humour which made me laugh and cry. This book made me cringe so many times because all of the characters are so awkward and weird, but that is what makes it realistic. I found it amsuing when the author made fun of cliche’s because it really makes you rethink the way we live and see people. There was a lot of swearing within the book, but once again that is what makes it so realistic and funny, because there is no ‘insta-love’ or ‘perfect teenagers’, it’s just 3 real human beings that got stuck with a bad situation and tried to make the best of it.